For six decades Angela Bowen, classical dancer and teacher, black lesbian feminist activist, and professor has influenced and inspired untold numbers speaking out as strongly for the Arts, Black and Women’s Rights as she has for Lesbian and Gay Rights. 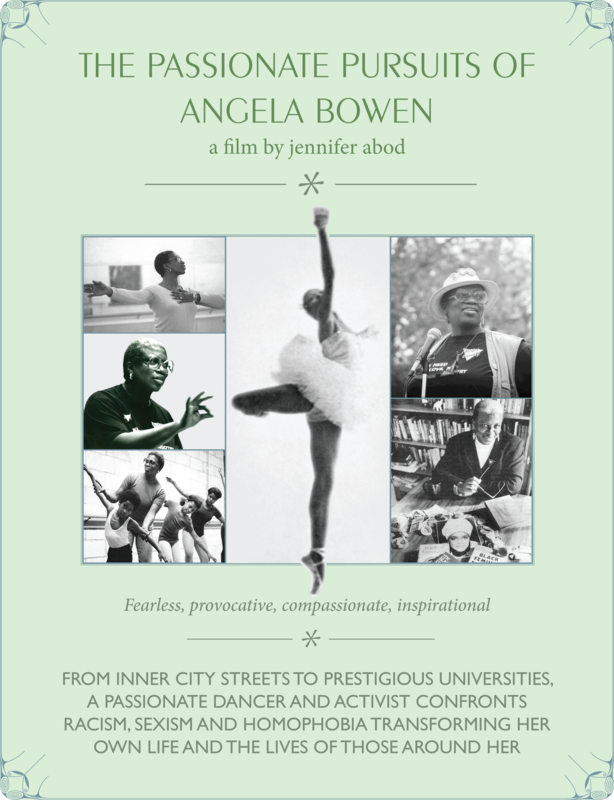 The film depicts Bowen’s life across the decades, from the early fifties, with historic footage, photographs and interviews including her dance mentor, dance partner, former husband, partner, children, activists, scholars, and dance and university students. Bowen’s candid and compelling stories allow us to understand how race, class, gender, age, and sexuality played into her decisions and choices, her mission, and strategies for survival. Passionate Pursuits is intended to challenge and inspire diverse audiences to pursue their own dreams with tenacity and courage, but not for themselves alone.